The ‘Golden’ Rush A Western Saga. 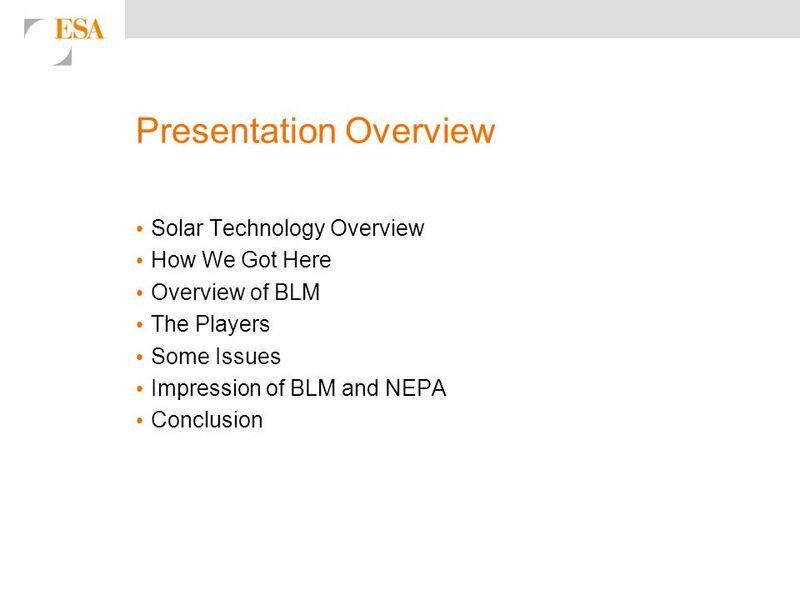 Presentation Overview Solar Technology Overview How We Got Here Overview of BLM The Players Some Issues Impression of. 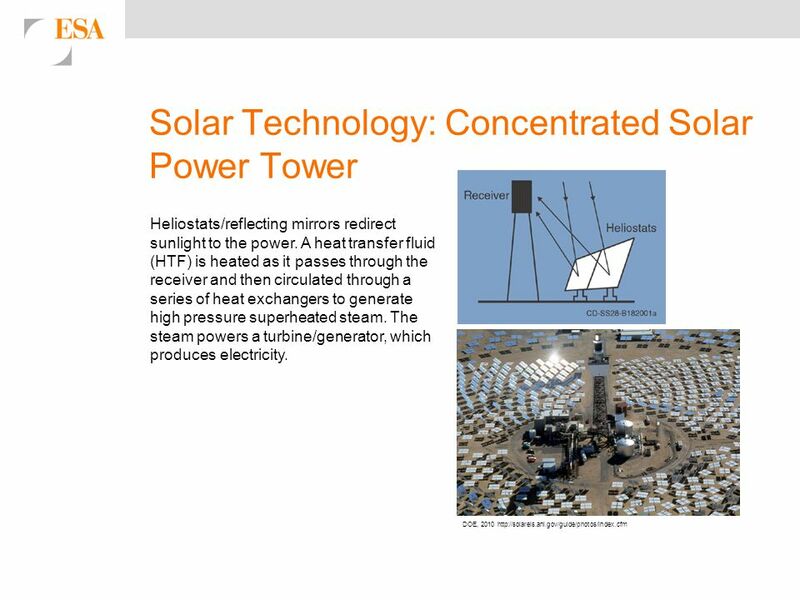 5 Solar Technology: Concentrated Solar Power Tower DOE, 2010 http://solareis.anl.gov/guide/photos/index.cfm Heliostats/reflecting mirrors redirect sunlight to the power. A heat transfer fluid (HTF) is heated as it passes through the receiver and then circulated through a series of heat exchangers to generate high pressure superheated steam. The steam powers a turbine/generator, which produces electricity. 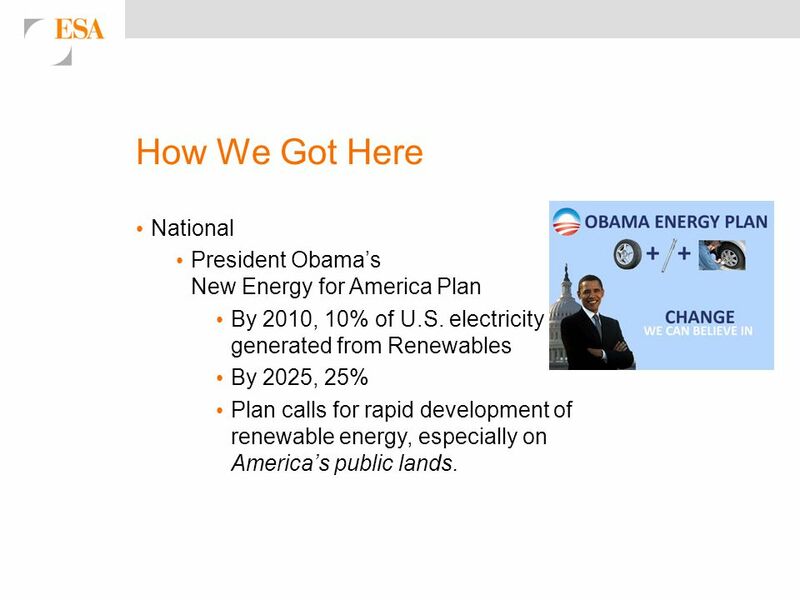 7 How We Got Here National President Obama’s New Energy for America Plan By 2010, 10% of U.S. electricity generated from Renewables By 2025, 25% Plan calls for rapid development of renewable energy, especially on America’s public lands. 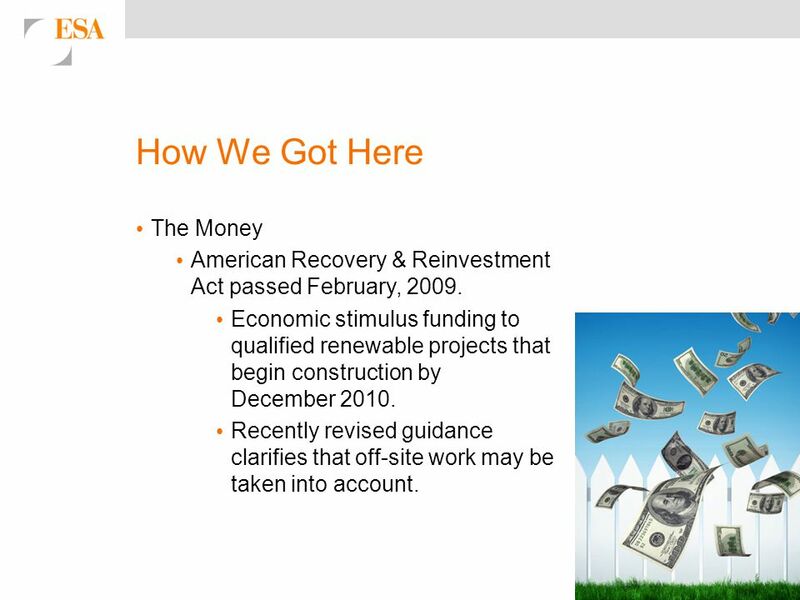 9 How We Got Here The Money American Recovery & Reinvestment Act passed February, 2009. 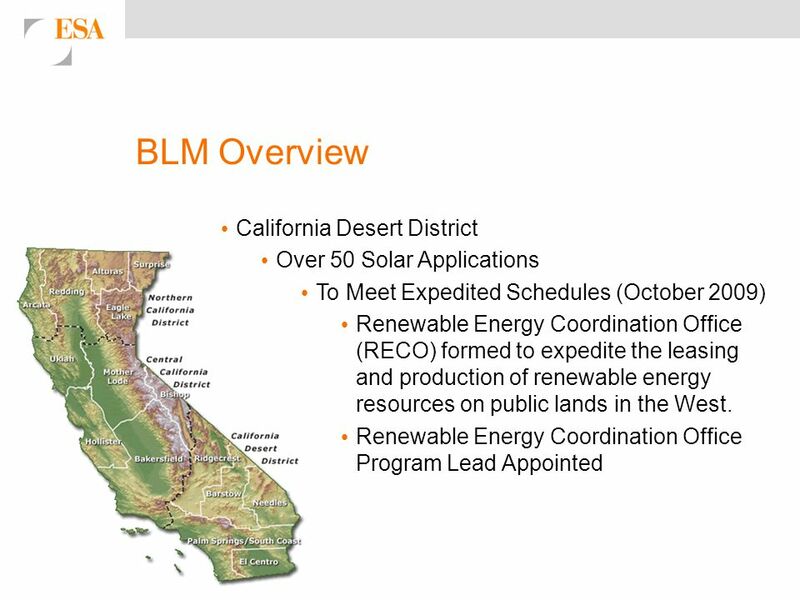 Economic stimulus funding to qualified renewable projects that begin construction by December 2010. Recently revised guidance clarifies that off-site work may be taken into account. 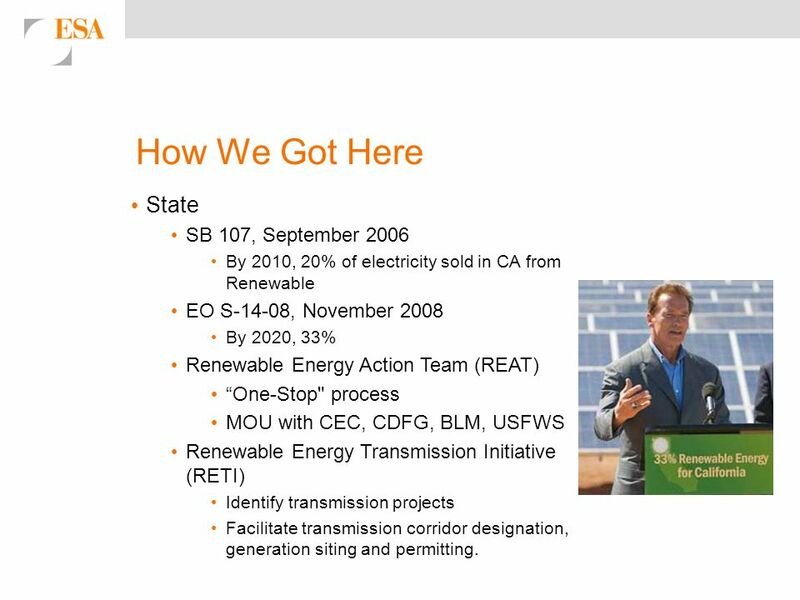 10 How We Got Here State SB 107, September 2006 By 2010, 20% of electricity sold in CA from Renewable EO S-14-08, November 2008 By 2020, 33% Renewable Energy Action Team (REAT) “One-Stop" process MOU with CEC, CDFG, BLM, USFWS Renewable Energy Transmission Initiative (RETI) Identify transmission projects Facilitate transmission corridor designation, generation siting and permitting. 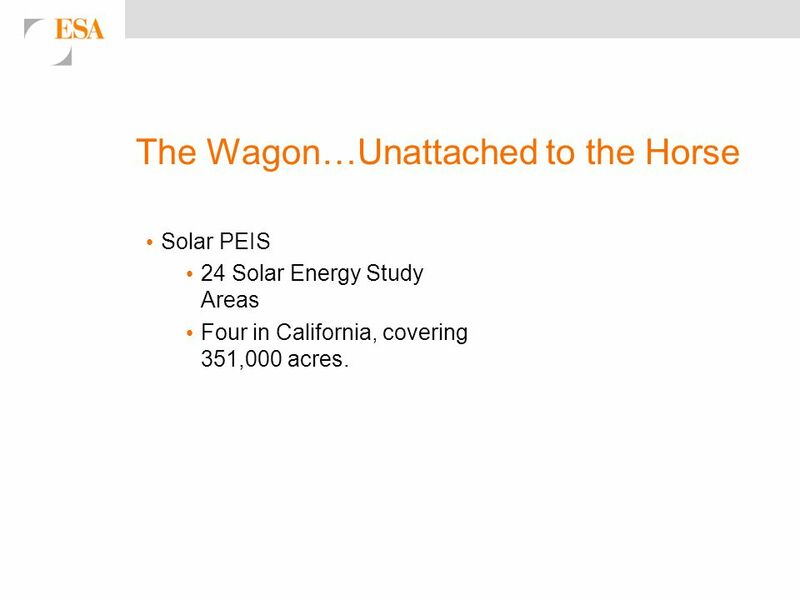 15 The Wagon…Unattached to the Horse Solar PEIS 24 Solar Energy Study Areas Four in California, covering 351,000 acres. 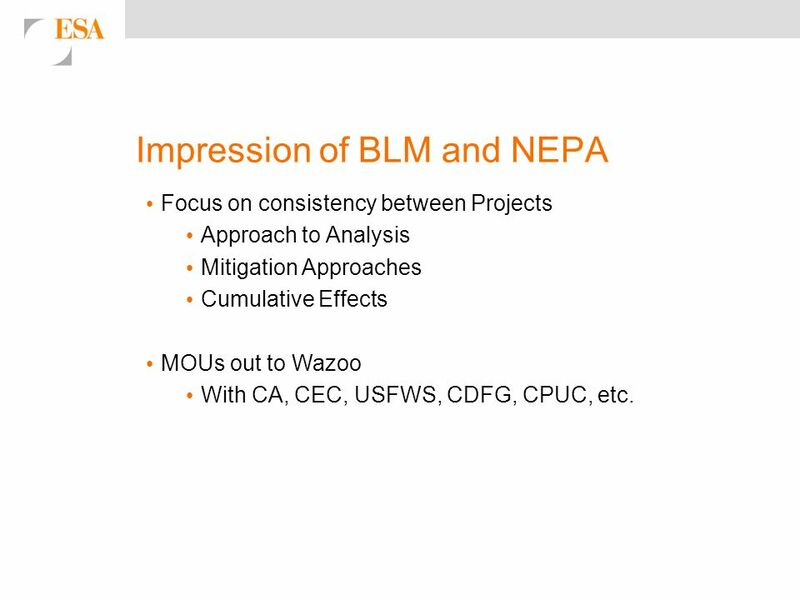 19 Impression of BLM and NEPA Focus on consistency between Projects Approach to Analysis Mitigation Approaches Cumulative Effects MOUs out to Wazoo With CA, CEC, USFWS, CDFG, CPUC, etc. 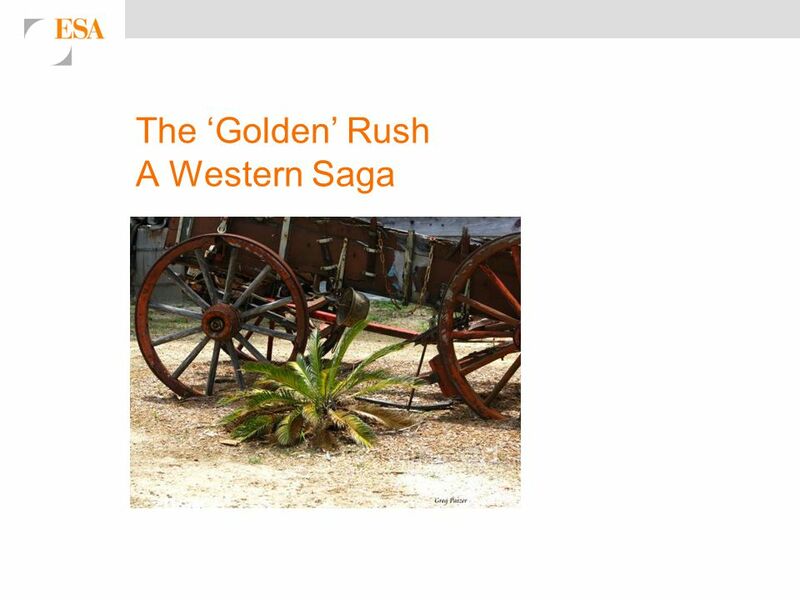 Download ppt "The ‘Golden’ Rush A Western Saga. 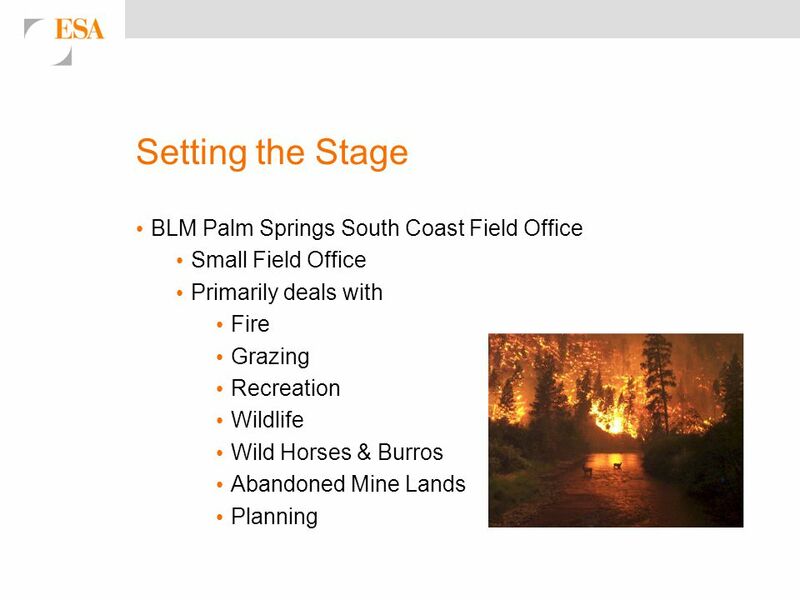 Presentation Overview Solar Technology Overview How We Got Here Overview of BLM The Players Some Issues Impression of." 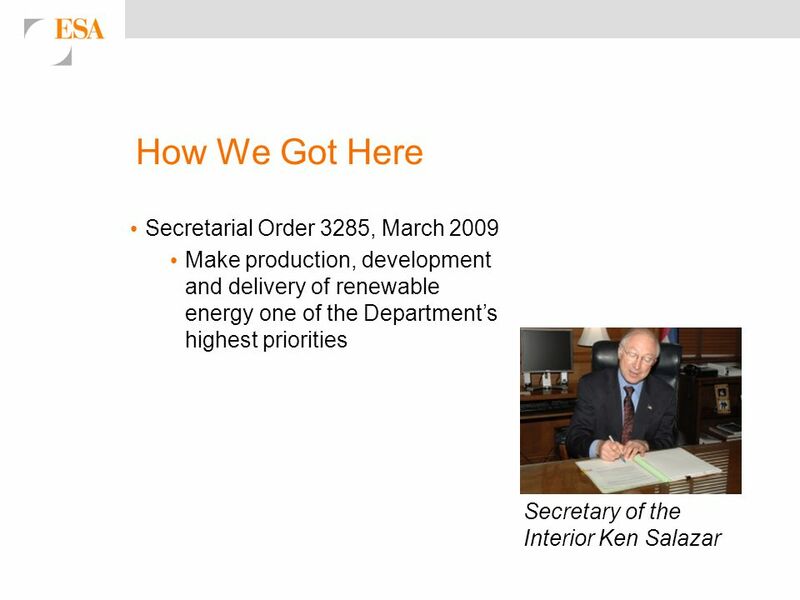 NREL is a national laboratory of the U.S. Department of Energy Office of Energy Efficiency and Renewable Energy operated by the Alliance for Sustainable. 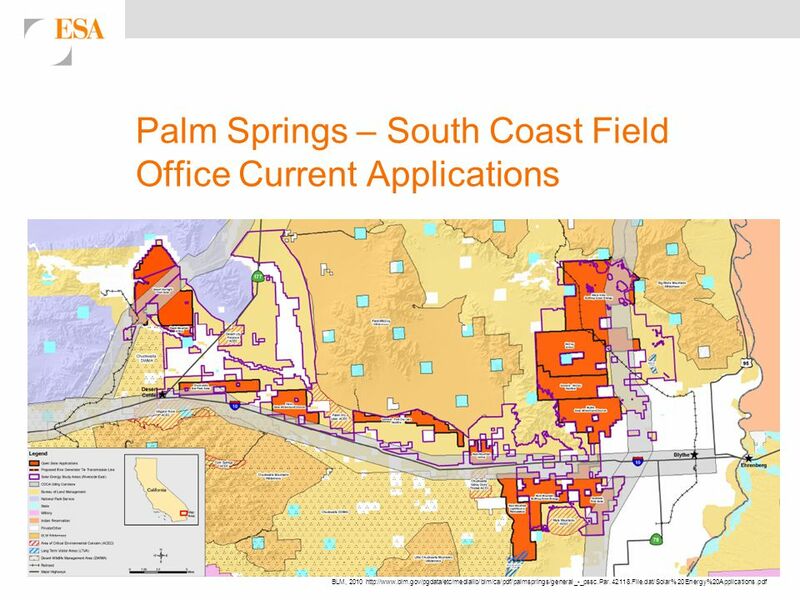 General Information on Permitting Electric Transmission Projects at the California Public Utilities Commission June 2009 Presentation created by the Transmission. 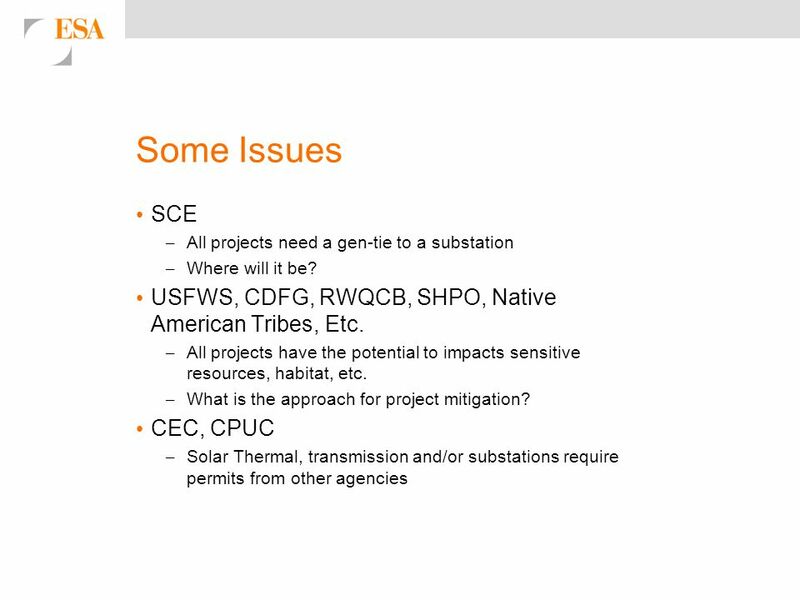 Direct solar radiation is both a powerful environmental stress & renewable energy resource. The sun’s energy is most concentrated on the roof (spring through. Solar Energy II Solar Electricity. 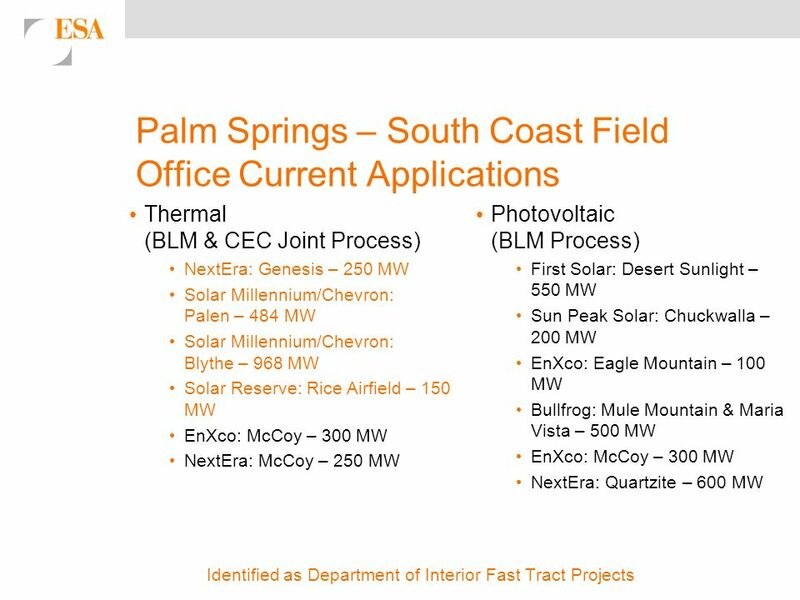 Would you be willing to pay more for electricity generated with solar power? 1. Yes 2. No. 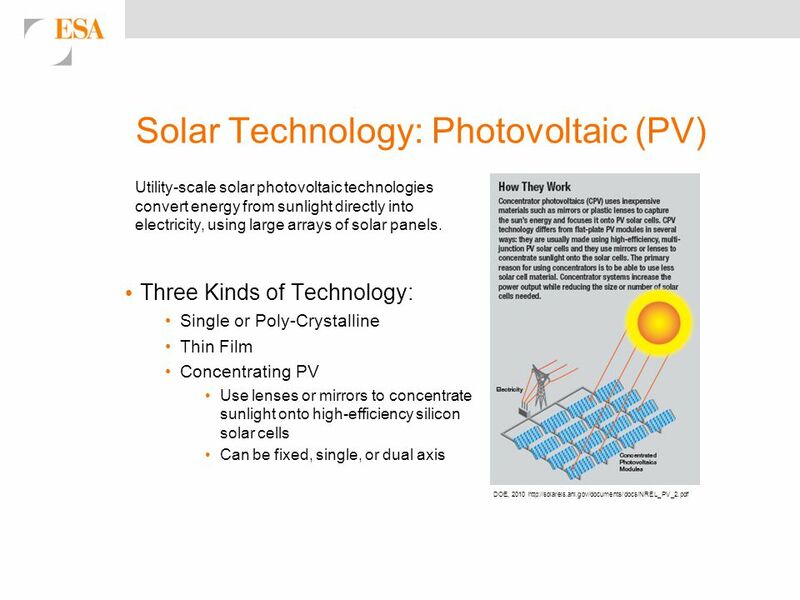 Solar Energy Florida Electric Cooperatives Association 2014 Finance & Accounting Conference Glenn Spurlock September 17, 2014. Concentrated Solar Systems Sponsored by Division of Energy Kourosh Sedghi-sigarchi Assistant Professor Department of Electrical and Computer Engineering. Exploring Solar Energy. Review: Atomic Structure  Three particles  Nucleus  Electrostatic Force  Strong nuclear force © The NEED Project. Solar Fuel for a Clean Planet. Who is Solel? 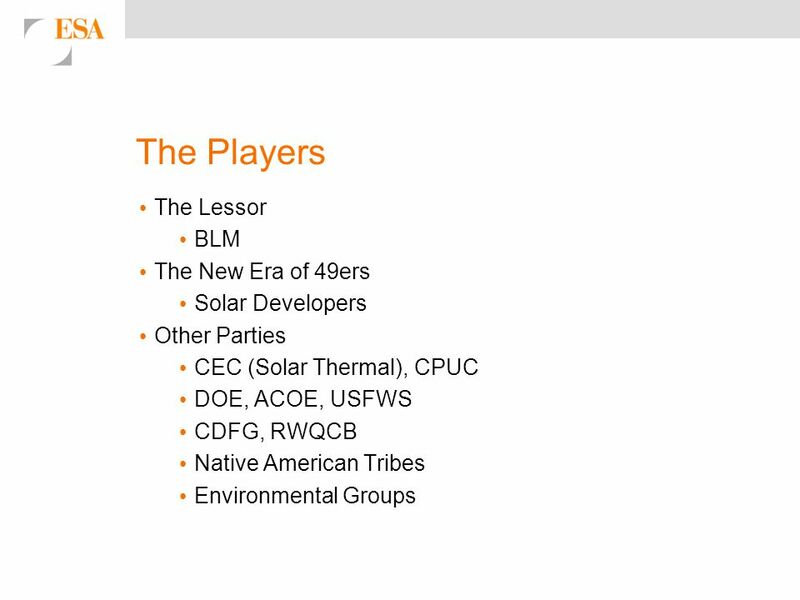  A technology company, providing a one-stop solution for utility scale solar fields  The only commercially. 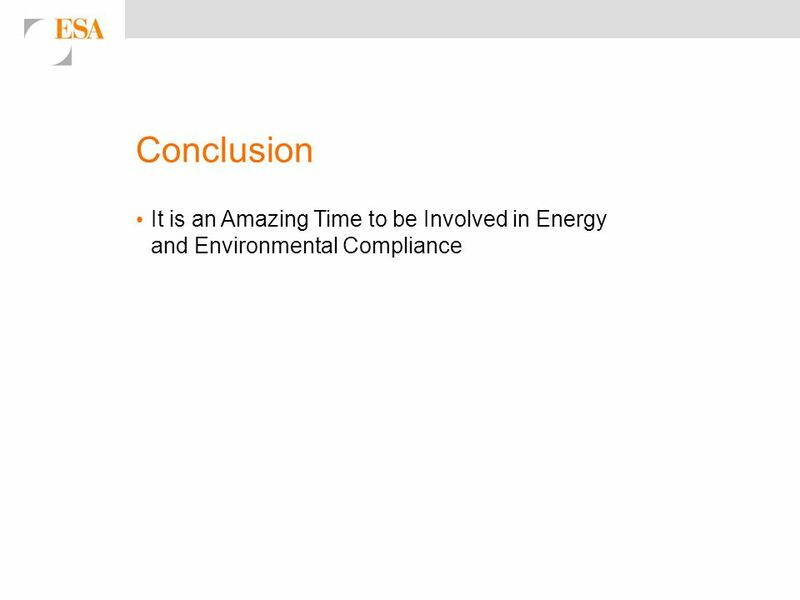 PEC Solar Energy Technology (MEC-2) UET-Taxila Overview of High Temperature Solar Power Production Prof. Dr. A. R. El-Ghalban Department of Mechanical. 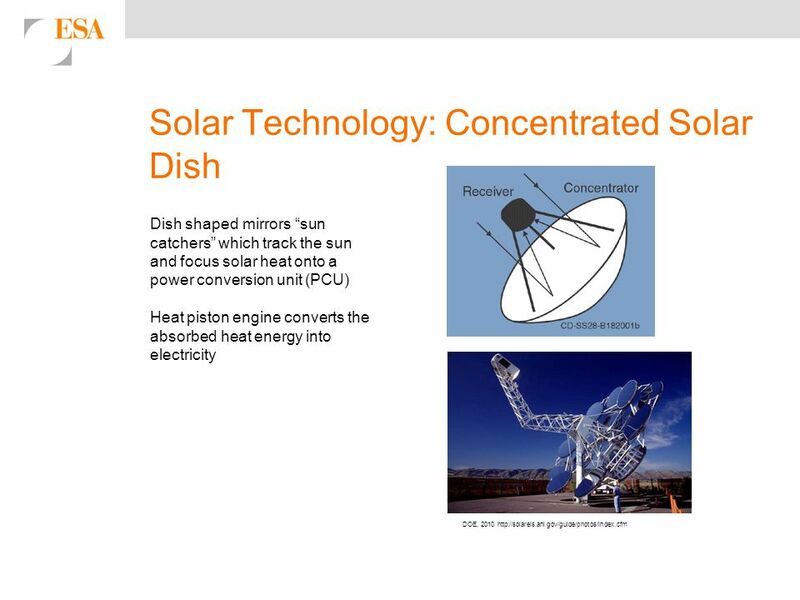 Solar Wonders, ©2007 Florida Solar Energy Center 1 High-Temperature Solar Thermal Systems Dishes, Troughs, and Other Concentrators Increase the Power of. .. 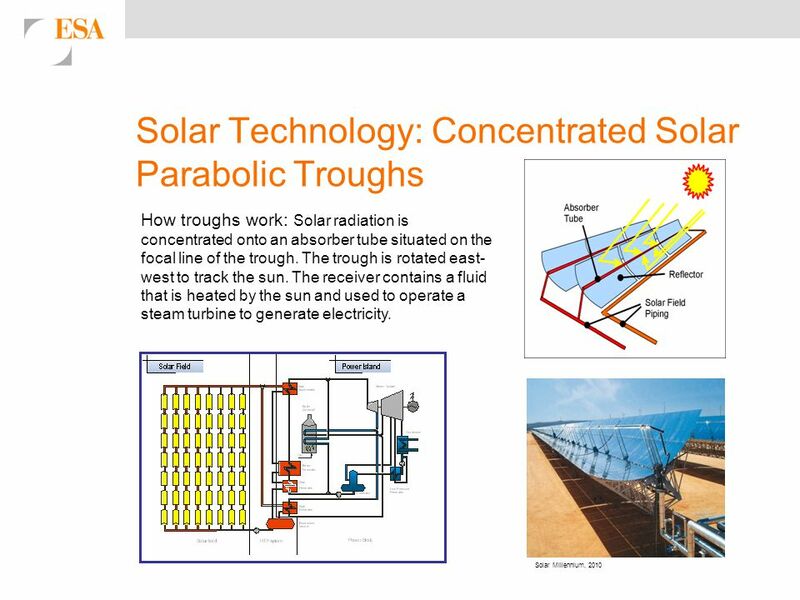 Solar thermal power plants use the sun's rays to heat a fluid, from which heat transfer systems may be used to produce steam. The steam, in turn, is. Solar Power. Before the bell rings get out your notes and begin answering the following based on your row… Row 1- (closest to the front! )- What are the. 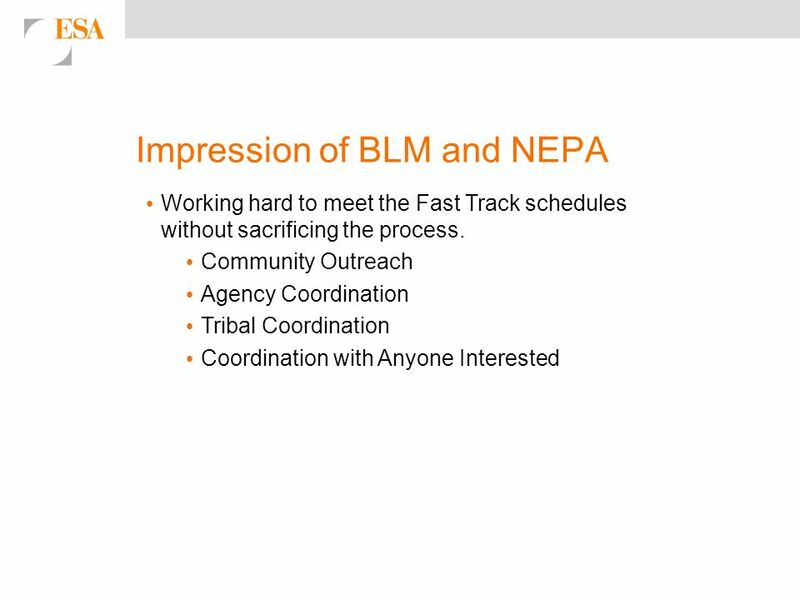 © Copyright 2013, First Solar, Inc. Moapa Southern Paiute and Aiya Solar Projects.